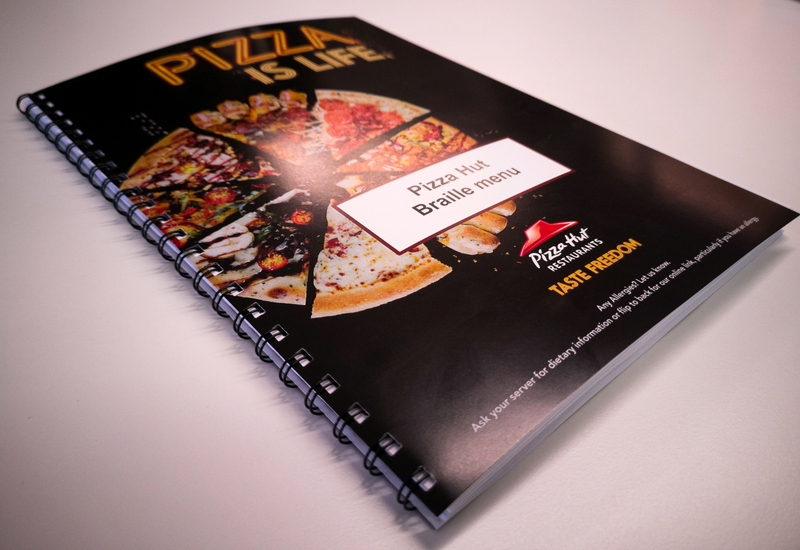 Pia recently had the honour of producing the accessible formats menu for the Pizza Hut restaurant chain. 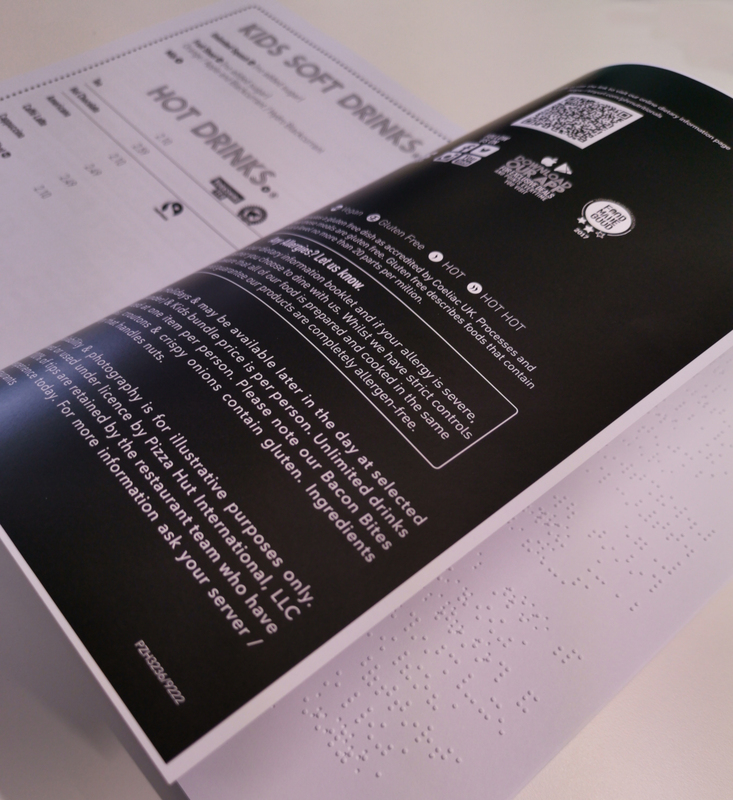 We produced these menus as ‘tip and turn’, which means that one side of the menu is large print and the other is braille. 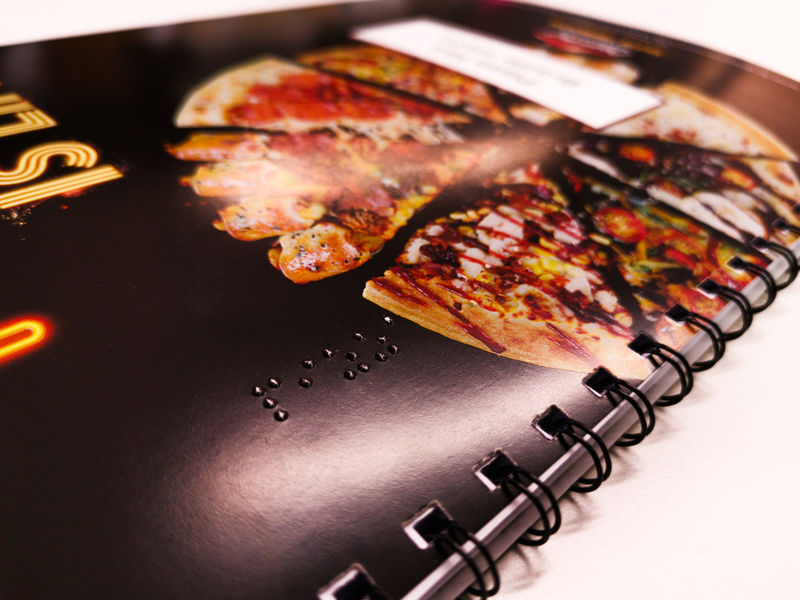 This enables you to have a menu that is accessible to braille users and those who need large print in one booklet. 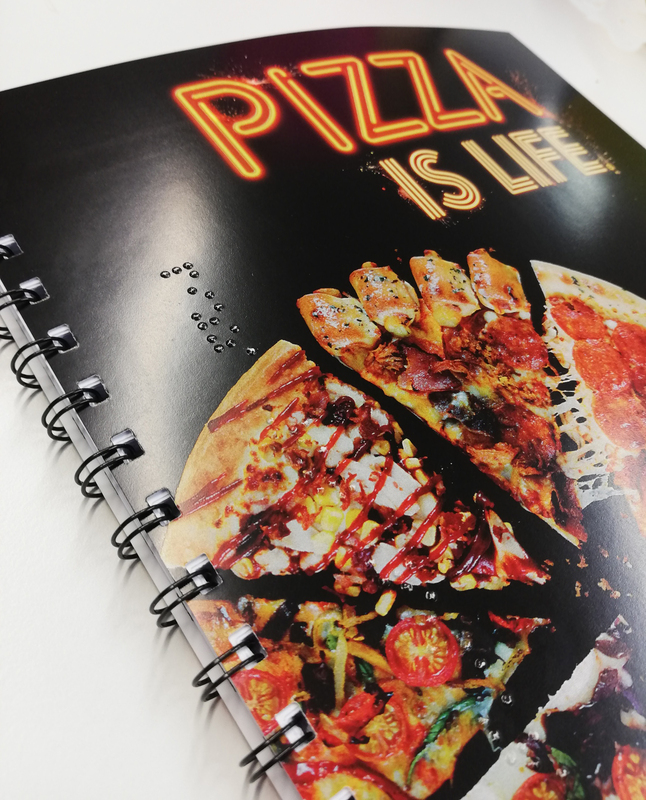 Accessible menus make everyone feel welcome and included. These menus look fantastic and have the advantage of only being one document, saving you space and making it easier to find when needed.